Dr. Rickey A. Nation, Ph.D.
Dr. Nation worked in restaurant management, sales and marketing for a total of 7 years. He also began three different youth ministries in several schools. 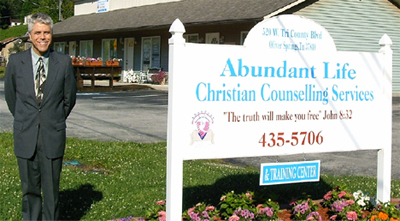 This experience enabled him to begin Abundant Life Christian Counseling Services and write this one of a kind course. Start with confidence, reliability, and trust and continue with God's working in your life as never before!